With many confirmations surrounding the America's Cup in 2021 being made, superyachts are beginning to plan their cruise south to time it with the exciting event. 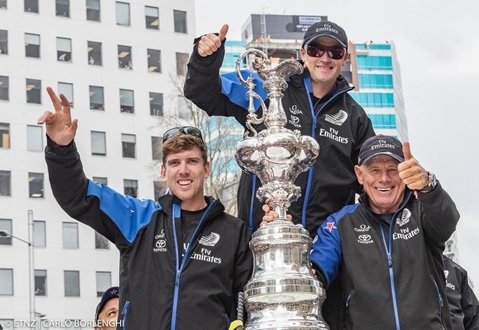 Emirates Team New Zealand CEO, Grant Dalton, confirmed that the boat will be the AC75 Class and will be a 75-foot-high performance monohull. The design concepts of which will be published by 31st March 2018. With another event of this kind held in Auckland there would definitely be a need for a new major development to ensure sufficient infrastructure, base facilities for challengers and new berths for visiting superyachts and Lidgard believes these changes will definitely occur. “In the last 15 years since the last cup, cruising outside of the normal Mediterranean/Caribbean run is becoming more normal than the exception. The rise of Expedition Style motor yachts is creating a long-range cruising environment and the Pacific is still offering untouched cruising grounds”. ''For the last four years our marinas have been at near maximum capacity for the superyacht visitation each summer, the America’s Cup coming to New Zealand will definitely see a much needed boost for the local industry over the coming years."